The centrally located, stylish yet affordable, Peck Condos are near area favorite shopping and dining destinations, with the Grand Rapids Police Department directly adjacent the building for added peace of mind. Leased parking is available behind the building or in the nearby ramp on Ionia, while heated sidewalks make getting around on foot in the wintertime a snap. 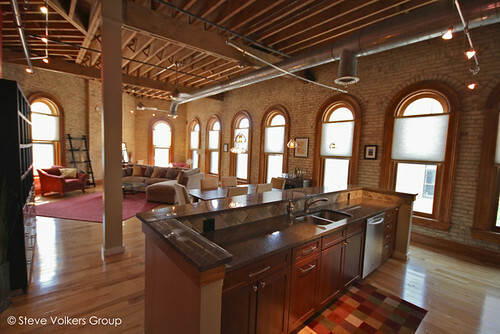 Beautiful interiors feature exposed brick, large windows, custom lighting, hardwood floors and more.